TheDiamondTrade.com has compiled information about selling your diamonds and selling diamond jewelry to help you understand how get the most out of your diamonds. This blog includes information about how to sell diamonds, where to sell diamonds, how to determine the value of your diamonds, and the do’s and don’ts when you sell diamonds online. The 4Cs: Learn how a diamond is valued based on these factors. Diamond Glossary: Learn all you can about diamonds! Colored Gem Glossary: Curious about colored gems? Learn more here! MM to Carats Conversion: Check to see just how many carats your diamond is! 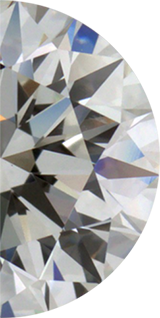 TheDiamondTrade.com buys diamonds, colored gems, and jewelry, conducting transactions in person across the United States and Internationally. Whether you have a small diamond or a family heirloom, The Diamond Trade will give you a competitive quote for your gems. Contact us today to learn more about how to get the online diamond selling process started, or visit The Process to get started!